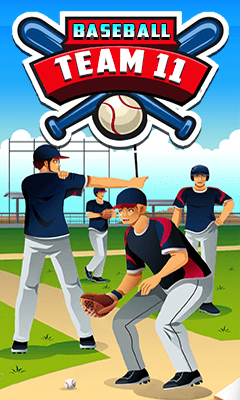 "BaseBall Team 11" is a very famous game in which You have to hit the ball and make runs. Pitch and bat your way through action packed innings in "Baseball Team 11". During your time at the bat, try and hit the ball to score runs. Aim to get a home run! Lot of well designed levels. You have to clear level one by one by completing given tasks . So download this game and enjoy. Have fun. ENJOY!!!!!! Do provide your feedback as review. You can get it absolutely FREE .